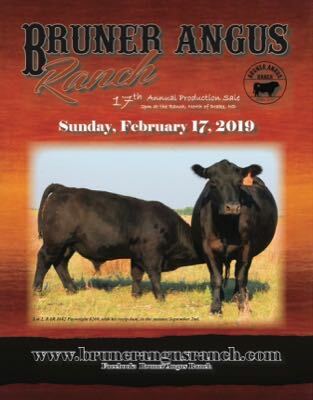 At Bruner Angus Ranch, our mission is to produce quality seedstock for the purebred and commercial cattlemen that will add consistency, longevity and maternal strength to their operation. We also strive to give each one of our customers a genuine, trustworthy experience when working with our family, and our cattle. 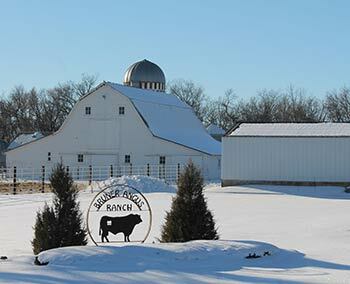 The Bruner Angus Ranch is a fourth-generation family farm. 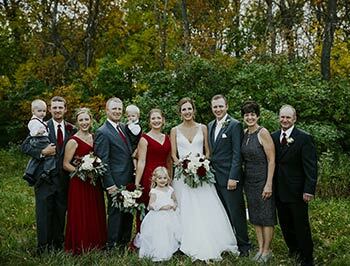 The Bruner family includes Blaine, Kim and their boys; Travis (and wife Ashley, daughter Rayna and son Frankie), Trenton (and wife Rachel and son Landon) and Ty (and wife Erin). The Angus herd was started by the late Frankie Bruner, and his wife Cecilia. Frankie bought his first 25 Angus cattle in 1952 to start the Bruner Angus Ranch. Each year he added as few as one or 2 to build his herd. The highlight of Frankie's ranching career was the purchase of FAR Kruegerand 410H that went on to be the 2002 Denver Stock Show Grand Champion Bull. Since then the Bruner Angus Ranch has developed into a 300 registered cow/calf operation. All of the cows are synchronized and AI'd using the top genetics in the Angus breed. Bruner Angus Ranch is also doing some embryo transplant work to maximize the production from their top females. All calves are born at the ranch and fed using their own grown feed and most of their own supplements. Additional supplements are purchased from Feed Mix. Every member of the family has a part in the operation. From the boys doing the chores, working cows and clipping bulls, to the girls keeping track of the bookwork, sale information and marketing. 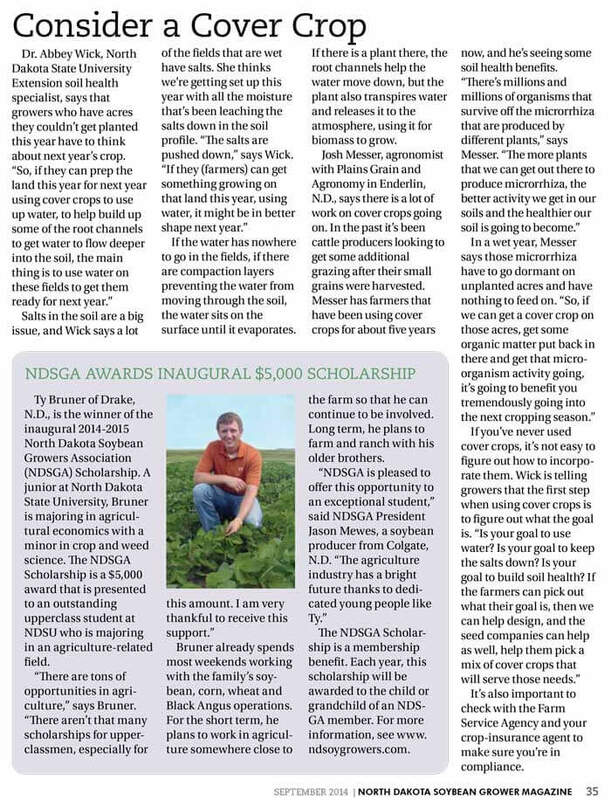 Bruner's annually attend the KMOT Ag Expo in Minot, ND, the KFYR Agri-International in Bismarck, ND, and display cattle at the Drake Breeder's Classic.